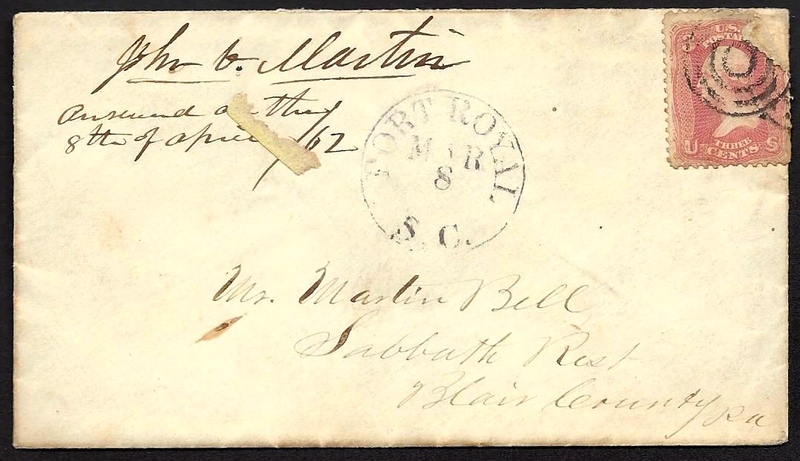 This letter was written by John Vinton Martin, a corporal in the 76th Pennsylvania Infantry. He enlisted on 28 October 1861 from Blair County, Pennsylvania, and was killed in action on 7 May 1864 at Chesterfield Heights, Virginia. 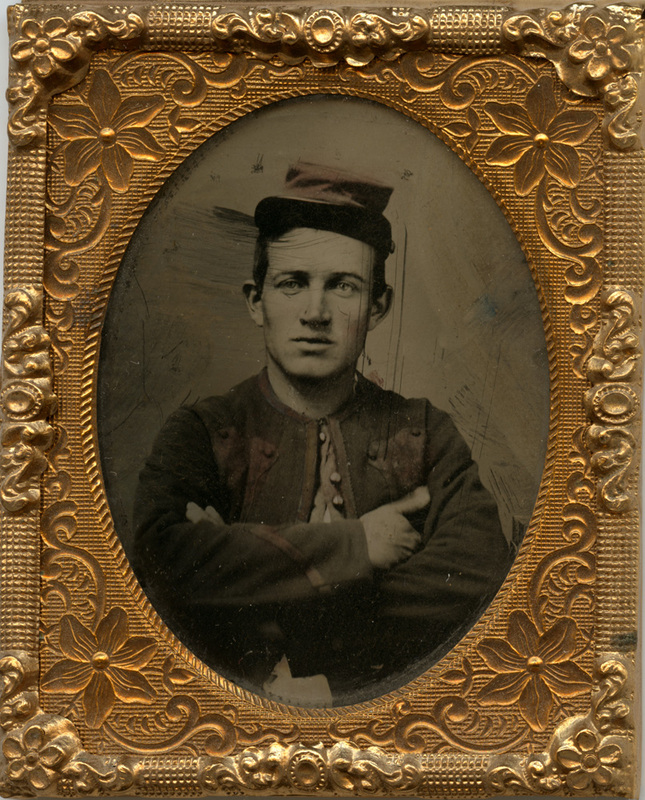 The 76th Pennsylvania, also known as the Keystone Zouaves, arrived at Hilton Head early in December 1861 and remained there until May 1864 when it was ordered to Virginia. Corporal Martin wrote the letter to his cousin, Martin Bell, who founded the Sabbath Rest Foundry in Antis Township of Blair County. It was given the name “Sabbath Rest” because Martin invented a new way to stoke the fires and leave them burn Sunday without having any person attend to them. It is with pleasure I sit down to write you a few lines. I say a few lines for I have not time to write you more than a few. I saw the first ice this morning I have seen in South Carolina. It was very precious being nearly a scum in a small pond. Saturday night was decidedly the coldest we have had since we came here. Today the wind was very high and very disagreeable to be out. The sand was carried about by the wind as snow sometimes is in the North. We have made an addition to our tent. We procured some boards, made a box about 15 inches high and just large enough other ways to admit the tent to stretch over it, and to this box we have the tent fastened. It makes it about a foot higher and gives an abundance of room. We have also a good floor and have added a few new pieces of furniture in the shape of stools, etc. which add much to our comfort. The paymaster has payed us with a visit. We were payed on the 19th of last month. Many were obliged to take checks in part pay as money was getting a little scarce with the paymaster. All from about the furnace sent all they wished to send home to Loyd & Co., or rather he will draw the whole amount from the government and pay it out to persons who are to receive it. I sent to you in this way $25 which you have perhaps now got or will get before this reaches you, if nothing has happened to delay its arrival. We are all well. John & Jim join in sending love to all. Excuse brevity. This entry was posted on Sunday, June 22nd, 2014 at 2:15 am	and posted in Uncategorized. You can follow any responses to this entry through the RSS 2.0 feed.